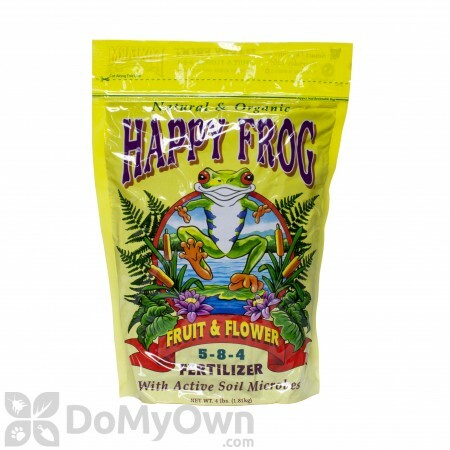 Happy Frog Fruit and Flower Organic Fertilizer (5-8-4) delivers multiple blooms and great bud set for all your flowering plants. 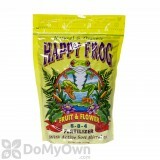 You will get brighter colors, spellbinding scents, and delicious flavors, all thanks to the extra boost that comes from the micronutrients and living organisms in Happy Frog Fruit and Flower Organic Fertilizer. You might not see the healthy root system below ground, but the multiple branching and heavy bud set above ground will tell you that your plants are well-fed. 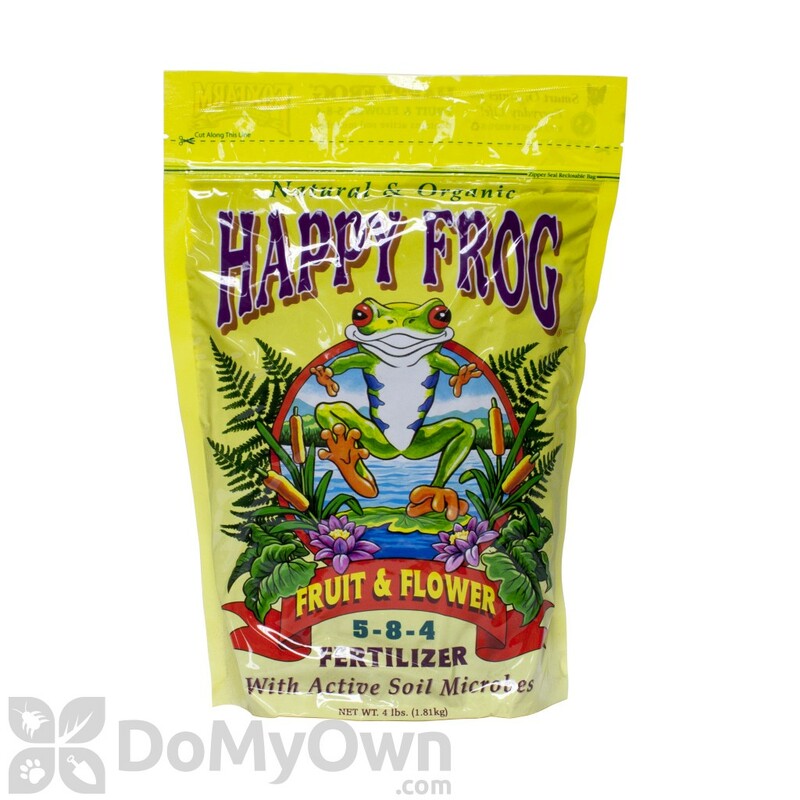 Happy Frog Fruit and Flower Organic Fertilizer is pH-balanced with premium organic ingredients like bat guano, kelp meal, alfalfa meal, feather meal and humic acid, a naturally occurring organic material that is formed when organic matter decomposes. Plus, Happy Frog adds 20 species of beneficial microbes to help convert fertilizers into vital plant food and fight off disease. All Happy Frog products come in a granulated from that is easy to use and provides gentle, slow-release feedings all season long. Garden tip: Use Fruit and Flower on annuals, perennials, shrubs, and trees. Apply monthly through harvest time. For established plantings, scatter 1/2 cup for every 2 feet of plant height. Lightly scratch into the top inch of soil and water thoroughly. For especially abundant yields, supplement with our organic liquid fertilizer, Big Bloom. We are known as the Microbrewery of Premium Plant Foods and Soil Mixes. Our fertilizers are built around the use of earthworm castings, nature’s finest soil amendment. Not only the end product, but the complete process of caring for the earthworm cultures is under our direct supervision. FoxFarm has been a “hands-on” Pioneer for over 17 years in developing and producing superior organic plant foods and extra-strength soil mixes.